Radon is an invisible, odorless gas that causes lung cancer. Every 25 minutes someone dies from radon induced lung cancer, making it the second leading cause of lung cancer. 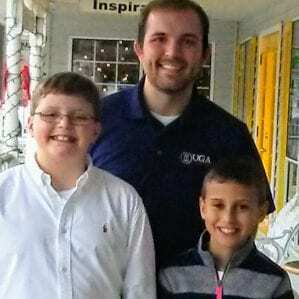 During Radon Action Month this January, UGA experts are advising you to test your home for radon gas. I’d like to talk about what this dangerous gas is, how you can find out if you have it, and what you can do to reduce the radon in your house to a safe level. When uranium, which occurs naturally in Georgia soil and rock, breaks down, it produces radon gas. Radon is a heavy gas which seeps into homes from the ground and concentrates in the lower levels of a house. Radon can be present in any home, regardless of the age or type of home. The U.S. Environmental Protection Agency (EPA) estimates that about 6.7% of homes nationwide have elevated levels of radon gas; however, in some counties the levels are higher. Homes in north Georgia can have high levels of radon. In Union County, between March 2003 and July 2017, about 46.5% of the homes tested had elevated levels of radon. In Towns County it was 33.1%. 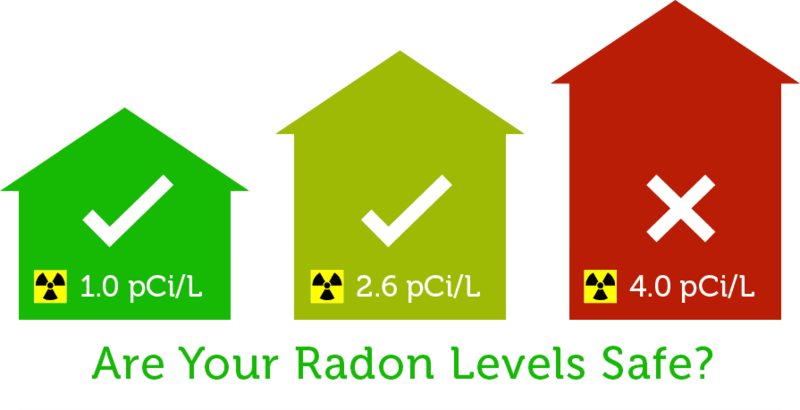 An elevated level of radon is anything at, or above, 4 picocuries per liter (pCi/L). Being exposed to a level of 4 pCi/L has similar health effects as smoking 8 cigarettes per day. The only way to know if your home has a high level of radon is to test for radon. Radon test kits are available from several sources, including local retailers, the Extension Office, and by ordering online at www.UGAradon.org. Purchasing a kit from the Extension office costs $10. If the radon level in your home is high, it is fixable. Installing a radon reduction (or radon mitigation) system will reduce high levels of indoor radon to acceptable levels. The system most commonly used is a vent pipe system, which includes a fan that pulls radon from beneath the house and vents it to the outside. Just because your neighbor has had a negative radon test does not mean that your house isn’t affected. Also, if your neighbor has had a positive test it doesn’t mean that you have radon in your home. It is advisable to test your own home. Experts usually advise that you have your home tested regularly to make sure that radon levels are low. Radon may also be found in drinking water. This is primarily a concern for individuals whose drinking water comes from private wells. In Georgia, wells drilled into granitic crystalline rock aquifers (pretty common for wells around here), are at risk of naturally occurring radon contamination. This is where the uranium that decays to radon can be found at higher levels. If you don’t know if there is radon in your well water, have the water tested. The UGA Agricultural and Environmental Services Laboratories in Athens tests water samples for the presence of radon. To get a water testing kit, contact your local Extension Office. Testing for radon in water costs $40. For more information on radon, visit www.ugaradon.org. Radon can be a serious concern in our area. It’s best to be tested to know if you have dangerous levels in your home. HIAWASSEE, Ga. – The Towns County Speech Development and Showcase will begin a new year’s program on Thursday, Jan. 25, 2018, at 6:30 p.m. at the new Senior Center in Hiawassee. Sponsored in partnership with the Towns County Movers & Shakers and the University of Georgia (UGA) 4-H Extension, the training is geared to provide local students with an opportunity to improve their public speaking abilities, increase communication skills within group settings, and offer a chance for students to share their voices throughout the community. The goals of the program are designed to build student confidence levels in order to aid their interactions in classroom discussions, enhance the English, Language, Arts (ELA) Standards of Excellence, prepare for success in the workforce, and empower by helping the students to use their voices, rather than their actions, to solve problems. “The Mountain Movers & Shakers speech competition has helped me more than I ever thought it could. Learning to speak in public has opened so many doors for me and has certainly helped to boost my confidence in social atmospheres,” Emma Kate Ledford expressed. The benefits of the speech training include necessary development for student body leadership positions, the ability for youth to create a “name” for themselves within the community, increased confidence levels in work or school interviews, and an opportunity to add program participation to college applications and employment resumes. The training sessions will be held each Thursday from Jan. 25 until Feb. 22, 2018. The showcase will take place on March 1. All events are scheduled for 6:30 p.m. at the new Senior Center, 954 North Main Street in Hiawassee. Participation in the showcase itself is not mandatory but encouraged. For more information, contact Andrew Smith at 706-400-8754.